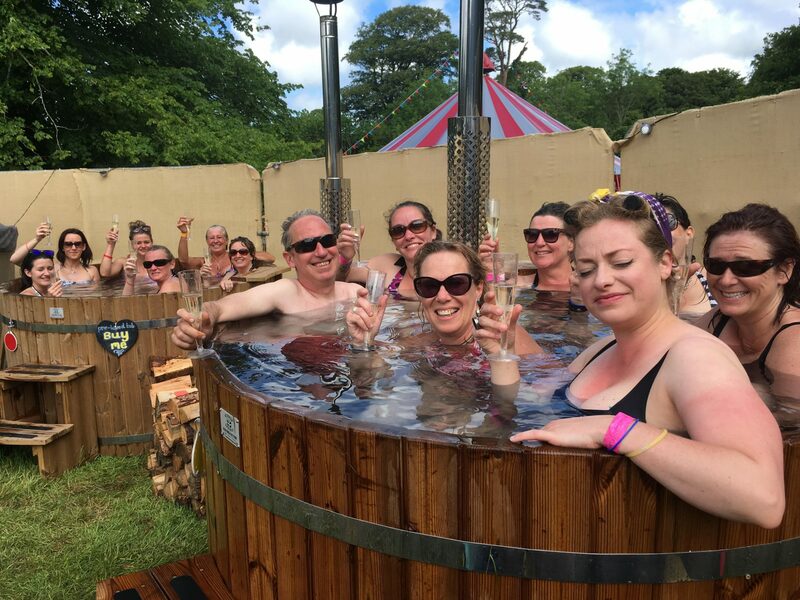 Indulge yourself in wood-fired hot tubs and sauna yurt, hot and cold showers, private changing rooms and cosy Bedouin chill out lounge complete with huge bean bags, rugs and throws. A private space of natural sanctuary where you can totally relax and unwind with stunning views of Scorrier Estate. Are you in need of some serene pampering to set you up for the day? Or maybe your very own late night, Champagne VIP party is more what you had in mind? Two-hour spa sessions run on the Friday, Saturday and Sunday with use of all facilities, including one hour hot tub time, sharing with up to six others. Prices from £20 per person plus booking fee. 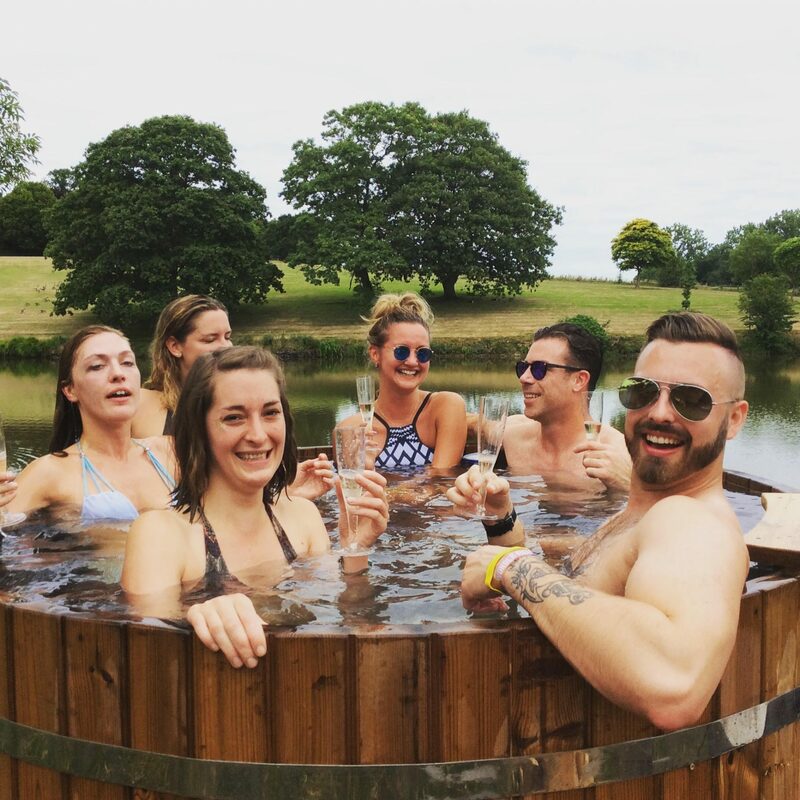 If you’d prefer your very own hot tub for your group only then why not go EXCLUSIVE. 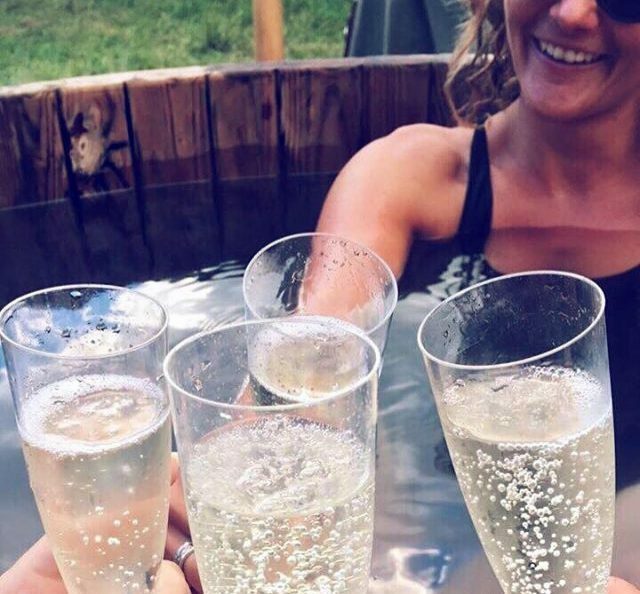 A two-hour spa session for up to seven people with the use of all facilities, including one hour hot tub time exclusively for your group and a complimentary bottle of prosecco on arrival. Only £140 per group plus booking fee. Booking before the festival is strongly advised as places are limited and often do sell out. Please note this only applies to all festival ticket holders.